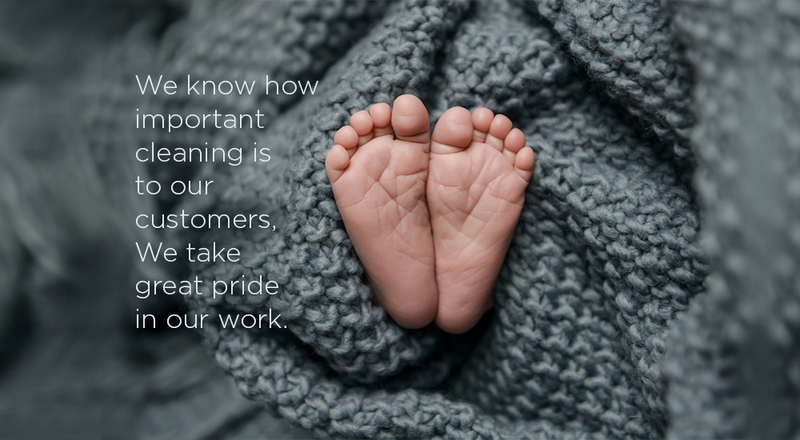 We're a family-owned dry-cleaning business serving Ridgefield, Connecticut since 1982. Colonial has grown into a state-of-the-art facility and employs more than 20 specialists to serve you. Dry cleaning utilizes cleaning agents instead of water to clean fabrics that cannot be cleaned effectively using the wet cleaning process. 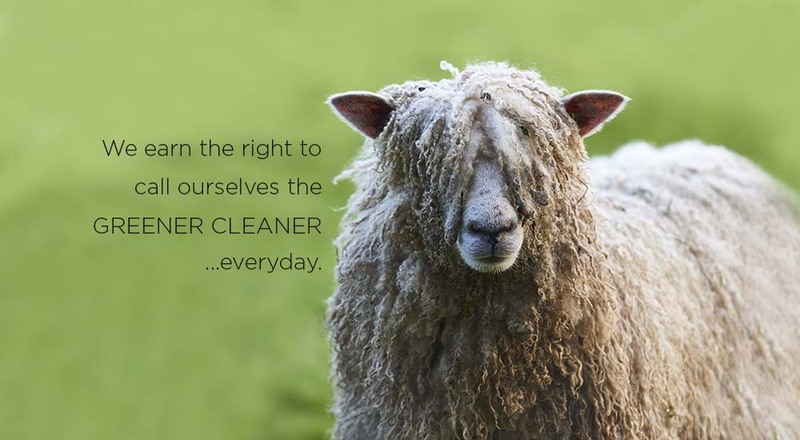 In order to meet the standards of Colonial Cleaners and its customers, wool garments such as suits and coats, some silks and other perishable garments are cleaned using dry cleaning methods. 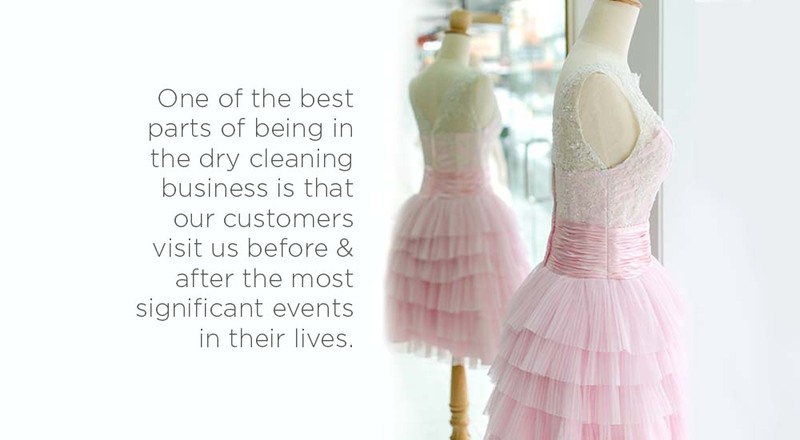 At Colonial Cleaners, we do not use the dry cleaning solvent perchloroethylene (perc). We use environmentally friendlier products, engineered to be biodegradable alternatives to perc. We begin with careful manual stain removal for stains that can’t be removed by machine washing. After washing, each shirt is individually finished, then inspected for missing or broken buttons that may need to be replaced. We will hang or fold & box your shirts, whichever you prefer. 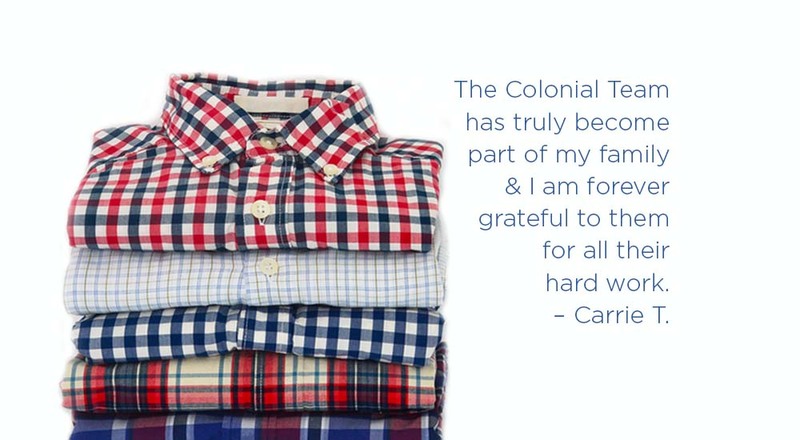 We offer you the pride and comfort that comes from wearing properly fitted clothing. Our staff includes full-time tailors who are experienced in the complexities of fine tailoring and the alteration of specialty garments such as wedding gowns, tuxedos, evening gowns, prom dresses, and uniforms. Please contact us to make an appointment for garment tailoring or complex alterations. For simple alterations, such as hem shortening, feel free to stop by the shop for a complimentary pinning. We want to make sure that you always receive the finest fit and proper length. Dry cleaning, wet cleaning and laundered shirts: in by 10am out by 3pm on most items. At your service: we have full-time tailors on staff Monday through Friday who make every effort to accommodate quick unscheduled repairs such as hems, zippers and buttons. If you need an emergency repair, just contact us and we’ll let you know when one of our tailors will be available. Save time and your energy with our dependable pick up and delivery service to your residence or business in Ridgefield, Redding, Wilton, Weston, New Canaan, North Salem, South Salem, Cross River, Waccabuc, and Pound Ridge. You’ll be asked to designate your drop-off/pick up spot (a location that is protected from inclement weather — like a garage or covered porch). We’ll schedule your delivery day and supply you with blue laundry bags with ID tags. On your scheduled day, we’ll visit your designated spot to deliver your cleaned garments with one blue bag and pick up your soiled garments in the other blue bag. There’s no need for you to be home. On the first of every month we’ll send you a statement of your account. Just need occasional pick up and delivery? We offer a “will call” option. Contact us when you have an order and we’ll arrange pick up and delivery. When we opened our doors in 1982, our goal was to provide superior dry cleaning and professional laundry services to Ridgefield and its surrounding communities. After more than three decades in business, we continue to dedicate ourselves to meeting and exceeding this goal with our ongoing commitment to quality, service, the environment and our community. Colonial Cleaners is a family owned and operated business run by me – Debra, and my husband Peter. Peter and I began our careers in other industries, but dry cleaning was in my blood—my parents owned dry cleaning establishments in Wilton and Georgetown. When the time came to settle down and raise a family, Peter and I decided to take the entrepreneurial route with a business I knew well. In 1982 we opened our very own dry cleaning shop in historic Ridgefield, CT. We chose Ridgefield for its beauty, strong community spirit and excellent public school system. Colonial Cleaners has grown and evolved considerably since 1982. We began as a small shop, in a small space, off the beaten path. In 1992 we relocated to our present building (a former livery stable), conveniently located on Catoonah Street. Since then, we have renovated and expanded our shop to become a 9,000 square foot, sparkling clean store front and environmentally responsible facility that houses the finest state-of-the art equipment available in the industry. We’re conveniently located across from the Ridgefield Fire House at 19 Catoonah Street. The key to our success is simple—we listen to our customers.